This is from Deb During Debworks Brown, who is the Executive Director at Webster City Area Chamber of Commerce in Iowa and Chief Marketing Officer at Debworks. 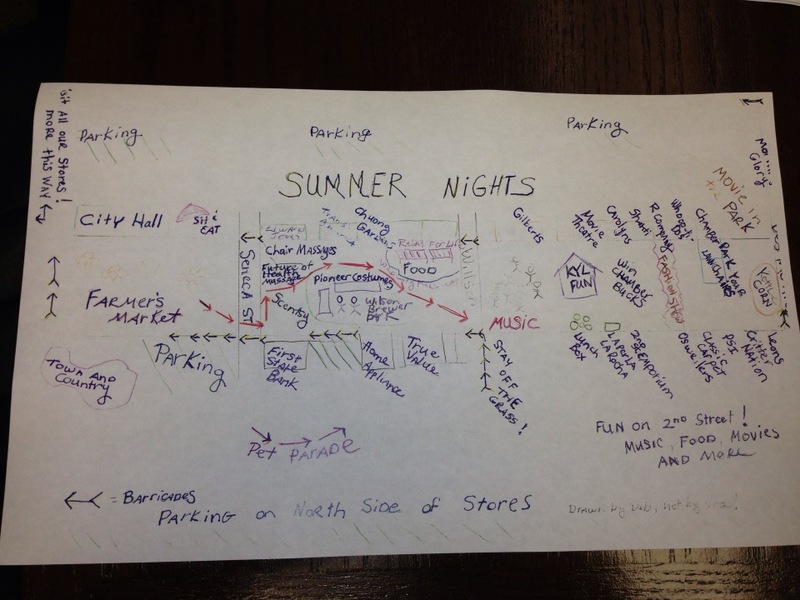 This map was drawn for the Webster City Area's "Summer Nights" festival coming up on June 14. It just goes to show that sometimes an old-fashioned piece of paper and some colored pens do the trick.